First of it's kind in Tenerife. 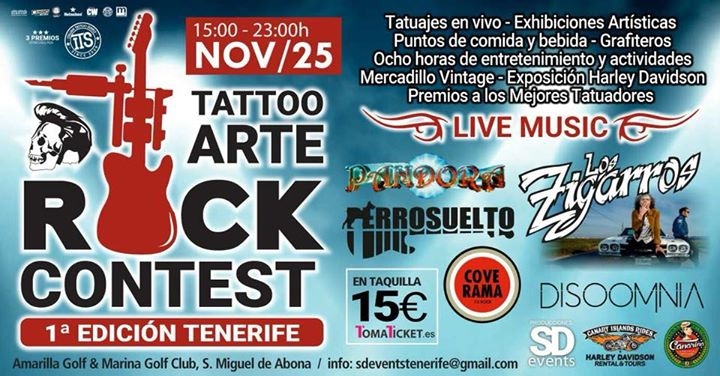 The first edition of the #TATTOOARTEROCKCONTEST is taking place on the 25th November on Amarilla Golf with concerts, exhibitions and stalls on from 3pm until 11pm. Sponsred by Heineken, OasisFM and Canarian Weekly among others.